Need to reach the world? We have an app for that. When the message is just too good to keep close to your chest, sometimes you just have to shout it out loud. Fortunately now, there’s a mobile app for that. FBC is going global via mobile! Working closely with our good friend and IT guru Bruce Ellsworth of First Bible Church of Decatur, McComm Group created a sweet and powerful means to accomplish that goal. 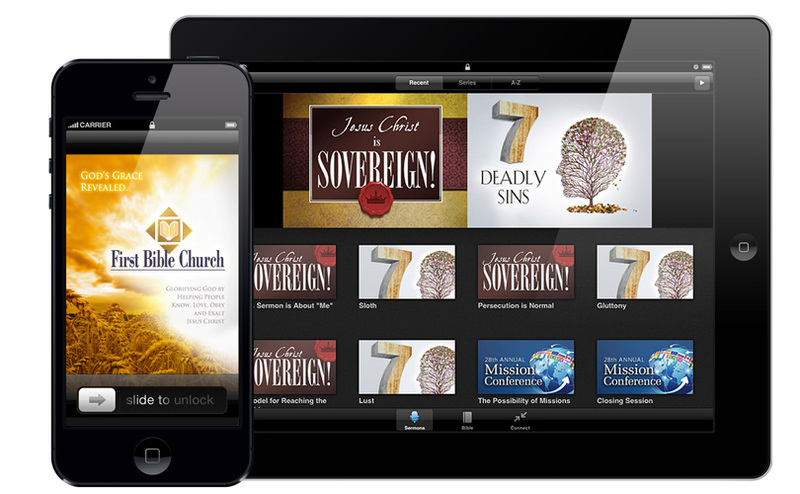 Created specifically for iPhones, iPads and Droid devices, this free application delivers the Good News in video and/or audio formats – you can choose. It also provides a daily reading plan for the Bible (English Standard Version) so you can read or listen anywhere at your convenience. Want to visit FBC in person? Check out the app’s “Connect” center that offers maps to the church and links to the www.fbc.org website for more information. Get your free download here.